Versa offers four different sytles of extrusion cutters. Low cost electro-mechanical brake and clutch cutters, heavy duty 4″ or 6″ capacity Titan cutters, medium torque servo cutters, and high torque Heavy Duty servo cutters. Electro-mechanical brake and clutch cutters can perform up to 550 cut/minute. Servo cutters are quieter, and can perform up to 1,000 cuts/minute. 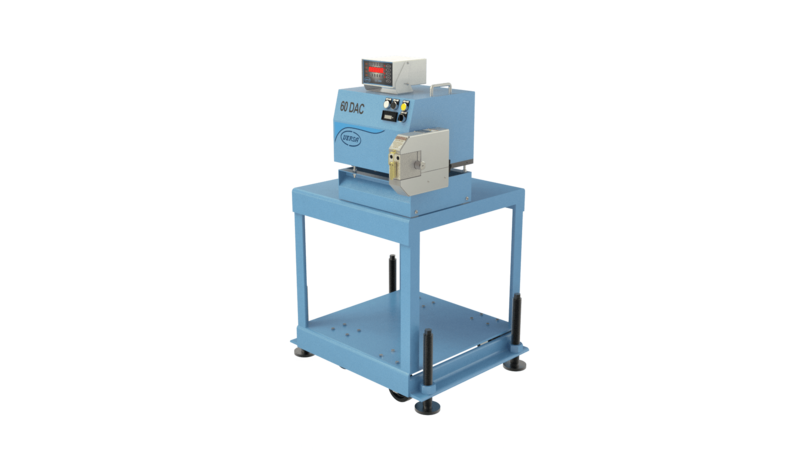 1″, 2″, and 3″ Digitally Actuated Circuitry (DAC) extrusion cutters offer a low cost solution for performing On-demand cutting up to 550 cuts/minute. (Shown above with an optional open frame table, and LC-2000 length and batch control. 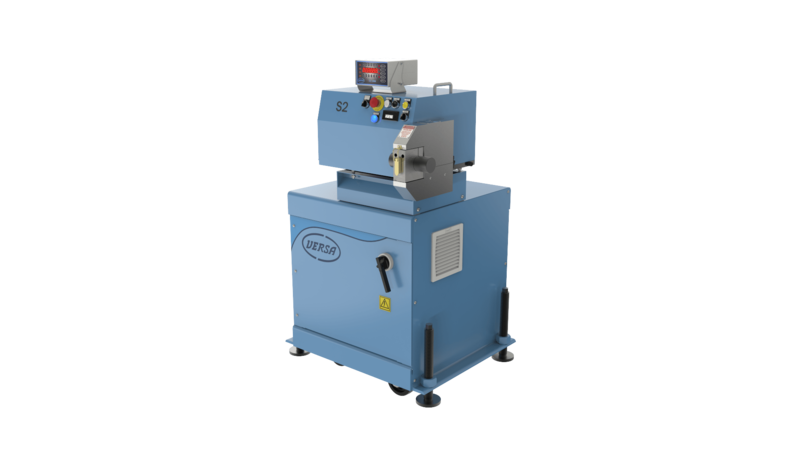 Our 1″, 2″, and 3″ S series extrusion servo cutters produce up to 150 in-lbs of cutting torque and perform up to 1,000 cuts/minute. They are quiet and can hold +/- 0.005″ cut length tolerance using a high resolution encoder. 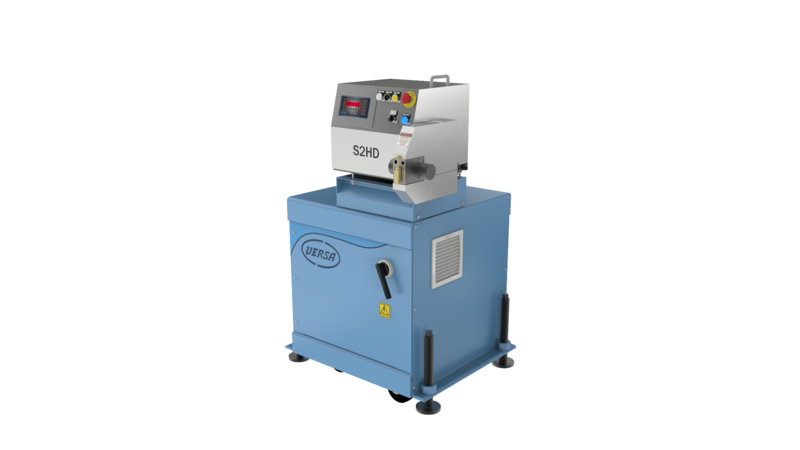 Our 1″, 2″, and 3″ Heavy Duty extrusion servo cutters produce up to 276 in-lbs of cutting torque and perform up to 1,000 cuts/minute. they are quiet, and can hold +/- 0.005″ cut length tolerance using a high resolution encoder.